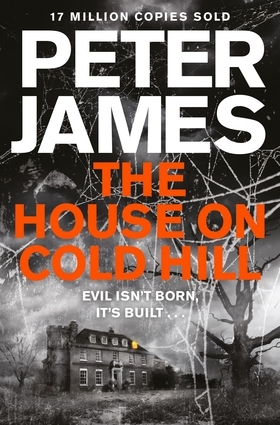 The House on Cold Hill is a chilling and suspenseful ghost story from the multi-million copy bestselling author of Dead Simple, Peter James.Moving from the heart of the city of Brighton and Hove to the Sussex countryside is a big undertaking for born townies, Ollie Harcourt, his wife, Caro, and their twelve-year-old daughter, Jade. But when they view Cold Hill House - a huge, dilapidated, Georgian mansion - they are filled with excitement. Despite the financial strain of the move, Ollie has dreamed of living in the country since he was a child, and with its acres of land, he sees Cold Hill House as a paradise for his animal-loving daughter, a base for his web-design business and a terrific long-term investment. Caro is less certain, and Jade is grumpy about being removed from all her friends.But within days of moving in, it soon becomes apparent that the Harcourt family aren't the only residents in the house. At first it is only a friend of Jade, talking to her on Facetime, who sees a spectral woman standing behind her. Then there are more sightings of her, as well as increasingly disturbing occurrences in the house. Two weeks after moving in, Caro, out in the garden, is startled to see faces staring out of an upstairs window of the house. The window of a room which holds the secret to the house's dark history . . . a room which does not appear to exist . . .
Peter James is the international bestselling author of many award-winning novels. His Detective Superintendent Roy Grace series, set in Brighton, has been translated into thirty-seven languages with worldwide sales of over eighteen million copies, and has given him nine consecutive Sunday Times number ones. In 2015 WHSmith customers publicly voted him the Greatest Crime Author of All Time and in 2016 he became the recipient of the coveted CWA Diamond Dagger lifetime achievement, awarded for sustained excellence. Peter has also written a short story collection, A Twist of the Knife, and his standalone titles include his ghost story The House On Cold Hilland The Perfect Murder, which has been turned into a smash hit stage play. All his novels reflect his deep interest in the world of the police. Three of his novels have been filmed and before becoming a full-time author he produced numerous films, including The Merchant of Venice, starring Al Pacino and Jeremy Irons. He divides his time between his homes in Notting Hill, London and near Brighton in Sussex.